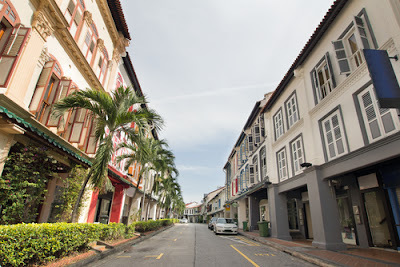 The concept of shop houses in Singapore is unique. As it is evident from the name, these houses include both shops and houses. Apart from that, all the houses are situated in a building. These houses are also termed as hybrid houses. People of Singapore make use of these shop houses for their income and they use the houses above the shops as their residence. With due course of time, the situation has been changing in the country. It used to be a time when there was no burglary and theft. People used to keep dogs, install robust door and locks to protect their shop houses from the threat of theft. Now, with the burglary becoming rampant in the neighbourhood, it has become indispensable to install CCTV in shop houses. This rate is menial as compared to other parts of the world. Singapore is a country with rarest of the rare cases of burglary and theft. 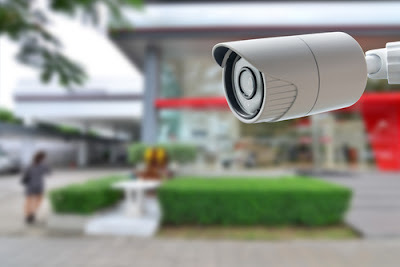 Why do you need to install CCTV camera in your shop houses? Singapore has the record of lowest crime in the world. It is possible to stop heinous crimes or serious crime. It is quite difficult to stop petty crimes. These crimes are the main reason why people of Singapore should install cameras in their shop houses. Some of the petty crimes that people of Singapore still worried about are shop lifting, street theft, pick pocketing and many more. It is the due responsibility of the shop owner to give protection to the employees and his belongings. 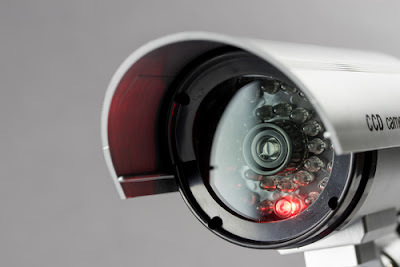 CCTV cameras not only give you financial and physical protection but also they give you legal protection. With the available footage in your storage, you can be able to co-operate the police in investigation. You can give evidence against the thugs in the court. If some of the shoplifters have attacked your employees, you can show the footage in the court of law to ask for compensation from the assailant. Generally people who commit petty crimes don’t go to places where CCTV cameras are installed. You are also helping your neighbourhood by reducing the crime rates as you install the camera in your shop houses. How to install CCTV for shop houses? There are a number of constraints which you need to consider before installing the CCTV cameras. First of all you need to decide whether you are going to install the cameras outside your shop house or inside or both. Then you need to consider the budget constraints for installing quality cameras. Let’s find out what are the options you have. There are a number of cameras available in the markets that are suitable for your shop houses. Your main goal should be to derive maximum benefits from the cameras that you choose to install. You need to maintain balance between the budget and preference. Your needs should be fulfilled to your best interest also. For example, you should install night vision camera because most of the burglaries take place during the night time. You may choose these cameras for your shop house but these can be a little costlier. 2. Should you consider outdoor cameras for your shop house? Most of the people use CCTV cameras inside their shop houses. It is very important to install outdoor cameras than the indoor cameras in your shop houses because it will be easier to take notice of the people that come in and go out. There are a lot of outdoor places where you can install outdoor cameras. You can install the cameras in parking areas, garage and the entrance of your shop house. 3. Should you compromise on quality of the cameras? You should always consider installing quality cameras. The camera quality depends upon the quality of images that it captures and the price. You should always consider infrared enables night vision cameras for your shop house, if you are not on a tight budget. If you are not able to recognise the person on the camera, there is no use of the camera. A good quality camera is characterised by its quality light sensitivity, sharpness, and resolution. It is always advisable to install the cameras so that everybody can see it. It means that the camera should be able to cover the whole areas where it is installed. Apart from that you should regularly check that its view is not blocked due to some obstacles. You should check the same for both the inside and outside cameras of your shop house. Both the cameras have their own advantages and disadvantages. Wired cameras may cost you a little les as compared to the wireless cameras. When you add the cost of the wires of the camera with wires, you may buy a wireless camera. Wireless cameras are generally costlier than the camera with wires. If due to some reasons the wireless connectivity is lost between the camera and the receiver of the camera on the other end, the camera may not be able to capture the images. You can pick cameras basing on their colours. You can either choose the black and white cameras or coloured cameras. When you are using cameras for surveillance purpose, you should always consider the cameras with high coverage. These can be possible with the use of cameras having wide angled lens. There are cameras which are weather independent. To save yourself from the atrocities of bad weather you can use Pan Tilt Zoom cameras. The cameras always come with installation guide. The installation guide contains detailed information on how to install the cameras. You need to follow the installation instructions to install the cameras successfully. As the situation demands, you should install the CCTV cameras in your shop houses. You can install the cameras by yourself with the help of information available on various websites. There are various agencies in Singapore who can help you with the whole process of installation of the cameras.